The Canadians are removing the penny from circulation. And considering doing the same with the nickel. I was surprised to learn many countries have already done the same. JP Morgan also recently got permission from the SEC to go ahead with their XF Physical Copper Trust ETF. What will this do to the price of copper? 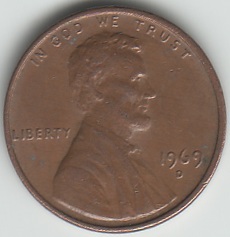 I haven't a clue, but I began saving pennies from 1982 and previous a couple of years ago after I learned they are 95% copper. I like to collect them because I can get them at the bank for... a penny. It's a penny for a penny investment. Aside from the possibility of rampant inflation making my penny worth significantly less it's a no lose proposition. One of the main problems is sorting the pennies when you can't see. I know they make sorters to do this, but I can't imagine myself even being able to ask a teller for enough boxes of pennies to make this worthwhile. I recently played Pool of Radiance and Curse of the Azure Bonds Advanced Dungeons and Dragons games on my computer so the idea of using metals as currency piqued my interest. I wonder if we will return to a monetary system where even baser metals like copper will have enough value to be traded for commodities like bread, milk, or meat. And the more I see people seeming to revert to a bunker mentality and trading locally, bartering, and using all kinds of alternative forms of currency, it's not hard to imagine a time when a penny might buy something of value. The Canadian plan is to remove the pennies from the hands of the public in a six year span, melting them down. If that happens where does the copper go? And if you wanted to buy more at what price would you be able to buy it in a market with no copper coins? When I heard the story about the JP Morgan ETF my first reaction was why are they trifling with a metal so clearly beneath their level of interest? Why even bother to trade a metal going for something like a quarter an ounce? I don't have a conspiracy theory answer. It seems just as likely that if you try to raise the price of copper those who cause it to have value by using it in construction will just turn to cheaper alternatives. And if you try to convince a public that has been trained to see copper as the cheapest currency available they're just as likely to cry bullcrap as go along with it. But there's this. the possibility that in the future they will convince the masses that copper is valuable. Especially after they remove it from circulation and only they have it. At that point wouldn't you love to have a vat full of the coin you wouldn't even bend over to pick up on the street before? If the penny is taken out of circulation and the melt ban is lifted it's not beyond imagination to see copper being used an intermediate currency, a tangible form of wealth used more to buy daily commodities than as a store of real wealth. In that scenario I'd like to have some around. I think a jasper-colored penny from the year you were born with a deep, rich cameo, is one of the most beautiful things in the world. Will our children even know what a penny is?